FORGE Motorsport Recirculation Valve for Subaru 2008 WRX Impreza FMWRX3 A direct bolt on replacement Recirculation valve for the new 2008 Subaru Impreza WRX with either the 2.0 litre or 2.5 litre engines. Please note: This valve will not fit the 2008 STi. In The Box: 1 x FMWRX3 Valve 1 x Uprated Yellow Spring 1 x Uprated Red Spring 2 x Shims 1 x 40mm Hose Clamp 1 x Instructions 1 x Forge Sticker. We are dedicated to ensuring the highest possible quality service to our customers, always going above and beyond! See the tabs below for more information about us and our policies. We are a family run business started back in 2004 offering car customising and performance products from top brands such as Forge, K&N, Bailey, Wossner, Walbro, Gaz, The Loudest and many more. We also have products manufactured for ourselves and these are made to the highest standards. Over the past 9 years here at Motorbling we have also expanded our product range into standard replacement parts such as Brakes Pads from EBC and Wing Mirrors from Lucas, so we can now offer everything you need, from customising, to performance to standard replacement parts for MOT'S and general repairs. We offer fantastic service and discounted prices so why shop anywhere else. If you think weve sent you the wrong item or size, please double check the full description in the listing, including the UK size before requesting a return. 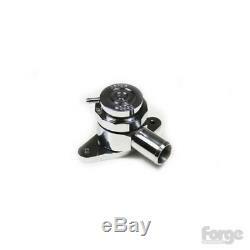 The item "FORGE Motorsport Recirculation Valve for Subaru 2008 WRX Impreza FMWRX3" is in sale since Thursday, November 27, 2014. This item is in the category "Vehicle Parts & Accessories\Car Tuning & Styling\Air Intake & Induction\Dump, Bypass & Blow-Off Valves". The seller is "motorbling" and is located in GB.